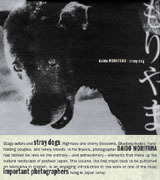 Text by Alexandra Munroe, Ming Tiampo, Yoshihara Jiro, Hirai Shoichi, Reiko Tomii, Kato Mizuho, Midori Yoshimoto, Judith Rodenbeck, Pedro Erber, Lyn Hsieh, Nakajima Izumi. Text by Alexandra Munroe, Tatehata Akira, Mika Yoshitake, Nancy Lim, Reiko Tomii. Photographs by Daido Moriyama. Text by Alexandra Munroe, Sandra Phillips. The Gutai Art Association was founded by Yoshihara Jiro in 1954 in the cosmopolite town of Ashiya, near Osaka. The group spanned two generations, totaling 59 artists and is one of the most radical movements in postwar Japanese art history. Published in conjunction with the first United States museum retrospective ever devoted to Gutai, exhibited at the Solomon R. Guggenheim Museum in New York, Gutai: Splendid Playground surveys the influential Japanese collective and artistic movement. 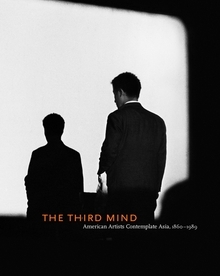 This exhibition catalogue aims to demonstrate the range of bold and innovative creativity present in the avant-garde movement, to examine the aesthetic strategies in the cultural, social and political context of postwar Japan and the West, and to further establish Gutai in an expanded, transnational history and critical discourse of modern art. Organized thematically and chronologically to explore Gutai’s unique approach to materials, concepts, process, performativity and enviroment, this publication investigates the group’s radical experimentation across a range of media and styles, and demonstrates how individual artists pushed the limits of what art could be or mean in a post-atomic era. The range includes painting, conceptual art, performance, film, installation art, sound art, interactive art, light art and kinetic art. Illustrating some 120 objects by 25 artists and featuring both iconic Gutai and lesser-known works, Splendid Playground presents a rich survey reflecting new scholarship, especially on “late Gutai” works dating from 1965 to 1972. The bold and innovative catalogue design reflects the unfettered creativity of Gutai. In addition, an extensive appendix features a selection of Gutai artists’ writings, an illustrated chronology, artist biographies and a bibliography. Hardcover, 9.75 x 11 in. / 316 pgs / 270 color. Text by Alexandra Munroe, Lewis Hyde. 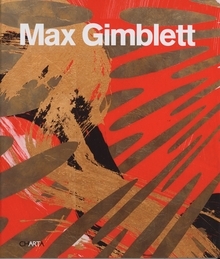 This latest monograph on New Zealand–born and New York–based painter Max Gimblett (born 1935) includes paintings and works on paper completed between 2002 and 2012. These recent works continue his focus on the shapes of the quatrefoil, the square and the circle, often covered in gold leaf and showing the influence of Asian art and calligraphy. Hardcover, 9.5 x 10.75 in. / 128 pgs / illustrated throughout. 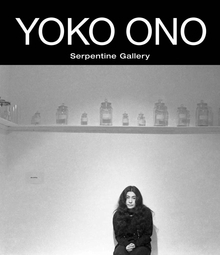 As a pioneering conceptual artist, performance artist, film-maker, poet, musician, writer and peace activist for over five decades, Yoko Ono (born 1933) has influenced several generations of artists, musicians and cultural workers across the globe. Throughout her career, Ono has explored an incredible range of media, coining new kinds of artistic genres--most notably with her instruction pieces, which she began making in the 1950s and continues to devise today. Yoko Ono: To the Light accompanies the artist’s major 2012 overview at the Serpentine Gallery in London (a city to which she has longstanding ties). In her introduction, Ono explains the book and show’s title: “We are now at the 13th hour, facing the future together in which we may destroy ourselves or go on to create our heaven on earth. For the Serpentine Gallery, I selected pieces which had the strongest vibration to take us to the light.” In accord with this utopian emphasis, Ono is also presenting #smilesfilm, a worldwide participatory project, as part of her exhibition. Conceived as a way of connecting people across the world, users are invited to upload images of their smiles via Twitter and Instagram, creating a global string of smiles. Included in this volume are reproductions of installations, films and performances, plus archival material relating to several key early works. Yoko Ono: To the Light is a concise introduction to the vast scope of this era-defining artist’s many endeavors. Paperback, 8.75 x 9.75 in. / 96 pgs / 4 color / 40 bw. Published by Charta/Long March Space. Text by Zhang Qing, Alexandra Munroe, Du Xiaozhen. Beijing-based artist Yu Hong (born 1966) is well known for her large-scale paintings on canvas, silk and sheets of resin, which marry older styles and idioms—from Chinese cave painting to Italian Renaissance frescoes—with imagery from contemporary life in China. Her youthful men and women are frequently depicted as if in mid-air, pitched against luscious monochrome backdrops (sometimes rendered in gold leaf). A prominent figure among those Chinese artists of the 1980s who eschewed the dominant Socialist Realism to explore more psychological terrain, Yu Hong has maintained a commitment to figuration, using its narrative possibilities to explore themes of gender, cultural conditioning, and, increasingly, the visual language of spirituality. Published on the occasion of Yu Hong’s major 2011 exhibition at the Shanghai Art Museum, Golden Horizon brings together the artist’s recent bodies of work including her newest series of paintings made specifically for this show. Hardcover, 9.5 x 10.75 in. / 132 pgs / 95 color. 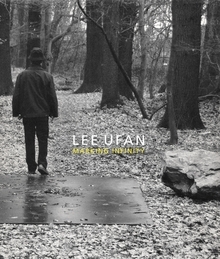 Published for the Guggenheim’s 2011 retrospective on Lee Ufan (born 1936), Marking Infinity charts the Korean artist and theorist’s creation of a visual and conceptual language that has greatly expanded the possibilities of painting and sculpture in the postwar era. Whether placing brush marks on canvas or combining discrepant textures of steel and stone, Lee has consistently elicited the subtlest and most spacious effects from the particular qualities of his materials. Lee is also a key theorist of Mono-ha, a movement that developed in Tokyo in the late 1960s, and this hardcover volume includes a selection of his influential writings on aesthetics and philosophy, published in English for the first time--alongside a wealth of full-color reproductions of Lee’s iconic paintings, sculptures and works on paper from the past 40 years. Hardcover, 10 x 11.75 in. / 200 pgs / illustrated throughout. 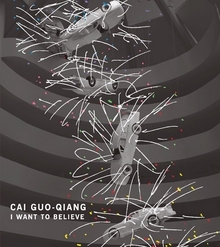 I Want to Believe accompanies the most comprehensive exhibition to date of the innovative body of work by Chinese-born artist Cai Guo-Qiang--best known for his spectacular artworks using gunpowder and fireworks. It presents a chronological and thematic survey that charts the artist’s creation of a distinctive visual and conceptual language across four mediums: drawings made from gunpowder fuses and explosive powders laid on paper and ignited; explosion events, documented by videos, photographs and preparatory drawings; large-scale installations; and social projects, wherein the artist works with local communities to create an art event or exhibition site, documented by photographs. Featuring works from the 1980s to the present, this volume illuminates Cai’s significant formal and conceptual contributions to contemporary international art practices and social activism. Generously illustrated more than 368 pages, this volume includes essays by Alexandra Munroe, David Joselit, Miwon Kwon and Wang Hui--along with some 60 documented plate entries. It is the defining scholarly publication on the artist thus far. Hardback, 9.75 x 11 in. / 316 pgs / 376 color. A crucial overview of an artist whose pioneering work prefigures much current cutting-edge photography. Influenced early on by William Klein and Andy Warhol, Moriyama stands as one of Japan's central postwar photographers. Hardcover, 8.25 x 9.5 in. / 160 pgs / 30 bw / 100 duotone.